Dry roast above items till get nice aroma and changes in color slightly. Transfer in to a plate .Add half teaspoon of oil in a same pan, then add below items, roast and grind with above ingredients.Add little water to get smooth grinding. Roast till coconut gets brown color. Heat oil in the pan.Splutter mustard ,curry leaves and hing. Then goes onion and garlic together,stir well it both changes in color.It takes about 1-2 mins in medium flame. Now add the coconut~spice ground mixture.Add water ,stir it well.Boil for 3 mins.Add salt and turmeric powder. Take out juice from tamarind. Add the tamarind extract,boil it for another 4-5 min in low flame. Heat teaspoon of oil and add on the top of Kuzhambu for more appetite.This step is optional. That's it now Onion garlic Kuzhambu 's ready.Serve it hot with steamed rice. Can make this Kuzhambu with regular onions/big onions. Add few chunks of tomato after the onion ,reduce the tamarind amount. Glad to see u Back Prabha..Vengaya poondu kuzhambu looks too tempting..inviting pics, love it with rice n papad...keep posting ur lovely recipes..
Its so inviting and divine. What a perfect dish on the days we are meatless. 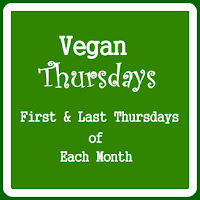 Glad to see u after a long Prabha..Thanks for joining Vegan Thursdays. Kuzhambu looks just droolworthy,definitely a fingerlicking gravy.